In an amazing turn of events, I lucked out with some awesome camping gear for my 35th birthday! 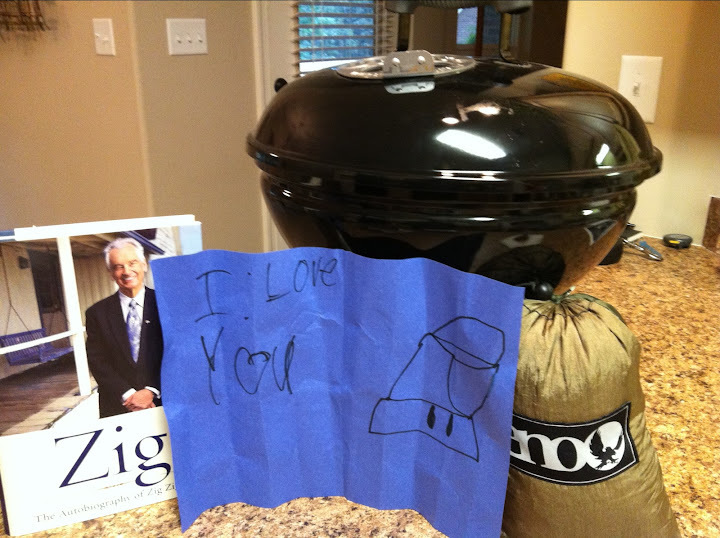 From Michelle and Joe, I got a Weber Smokey Joe grill for our camping excursions. This is going to come in handy when those picnic style grills at the campsite are a little questionable in terms of cleanliness. Yes, even I have some standards, especially when it comes to grills. 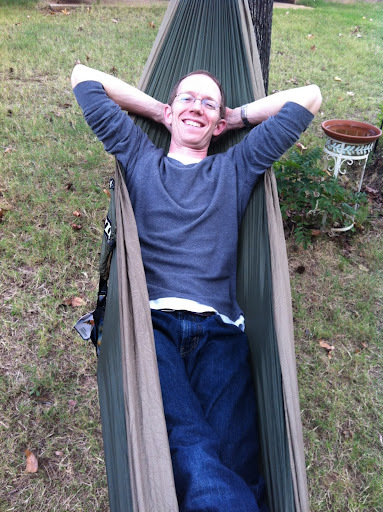 I also got a few books by my favorite motivator, Zig Ziglar, and am looking forward to reading them in my new (cue Price-Is-Right music) ENO DoubleNest Hammock !!! This totally unexpected birthday surprise came from my sister, brother-in-law, nephew and sweet little nieces in Alabama. The ENO line of hammocks are very comfortable and sleep inducing. If the ‘skeeters weren’t so bad this time of year, I’d be tempted to sleep under the stars tonight. Thanks to everyone for the birthday wishes today, and also to my wonderful family for these great presents!!! Sounds like you had a nice one!